It takes a legend to bring a myth back to life. A unique treat for music fans worldwide, Steve Hackett’s critically acclaimed live production ‘Genesis Revisited’ has so far triumphed in Europe, Japan and North America alike and is still going strong; on May 10th it celebrated its success at a sold out London’s Hammersmith Apollo with an ecstatic audience. Genesis Revisited – Live at Hammersmith - a unique performance with guests including Nik Kershaw, John Wetton, Jakko Jakszyk and Steve Rothery - will be released on October 21st. The 3CD+2DVD (with 5.1) box set, coincides with the return of Hackett’s Genesis Revisited Tour to the UK for a second round due to popular demand. The pioneering guitarist comments: "The 5.1 DVD with stereo CD out on 21st October including the whole show from Hammersmith Apollo is a feast for all the senses. I was blown away by the fantastic response to those May UK gigs. The autumn Genesis Revisited shows will include different Genesis material to before as well as all the big faves that bring the house down...See you all soon!" The upcoming UK Tour includes a nearly sold out performance at the legendary Royal Albert Hall on October 24th. Taking the stage with Steve Hackett is an exceptional team of top class musicians, including Roger King (Gary Moore, Snoop Doggie Dog, Jamelia) on keyboards, Gary O’Toole (Kylie Minogue, Chrissie Hynde) on drums, percussions and vocals, Rob Townsend (Eddie Henderson, Bill Bruford, Django Bates) on sax, flute and percussions, Lee Pomeroy (Take That, Rick Wakeman) on bass and Nad Sylvan (Abbas’s Michael B Tretow) on vocals. Tickets are £26.50, £24.50 for all venues – except Aylesbury £30 £37.50 & £40; Cambridge £26.50; London Hammersmith £27.50 and Royal Albert Hall £32.50 to £45. Tickets available through 24hr Ticket Hotline: 0844 338 0000 Online: BookingsDirect.com Agency & credit card bookings are subject to booking fee. All venues are seated. Showtime will be 7.30pm. Hackett made its mark on prog rock in the Seventies with his astounding, innovative work as Genesis’ lead guitarist, before embarking in a fulfilling solo career in 1977. In 1996 he released ‘Genesis Revisited’ – followed by ‘Genesis Revisited II in 2012 – where he reinterpreted Genesis classics from Golden Era (1971-77), keeping the original spirit of the songs intact while giving them a new edge, with the help of an impressive plethora of special guests. 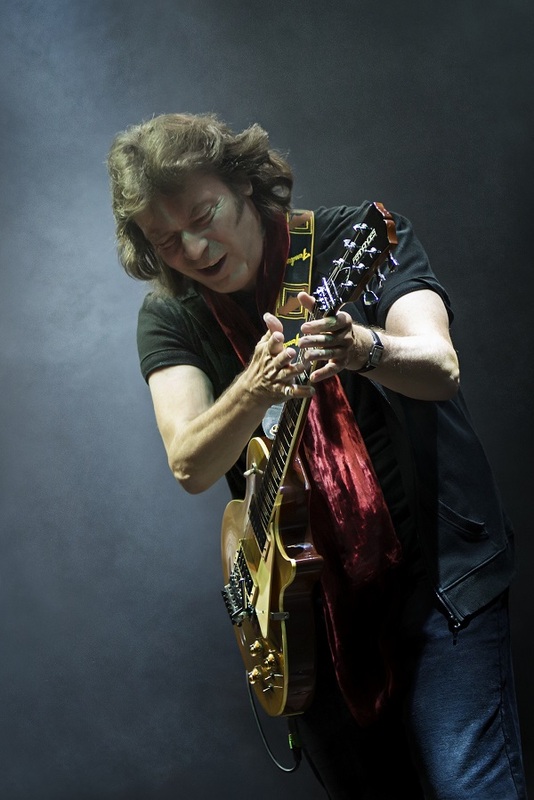 Steve Hackett is the first ex member to revive that particular segment of the band’s seminal career; the ‘Genesis Revisited’ Tour, Steve’s most ambitious production so far, sold out its first batch of dates in the UK last May.